Local Residential Builders Association focused on supporting the industry businesses to help keep affordable housing in our community. Providing networking opportunities for the professional advancement of our members. The National Association of the Remodeling Industry is the nation's only not-for-profit trade association dedicated exclusively to the professional remodeling industry. NARI promotes ethical and sound business practices for the benefit of the industry and America's homeowners. NARI of Idaho was established in 1991 and has grown to over 100 members. 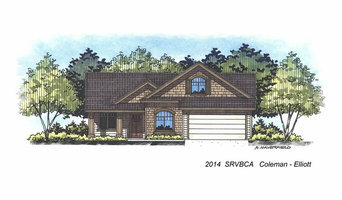 Our Core Purpose: To advance and promote the remodeling industry's professionalism, product, and vital public purpose. Our Core Values: The National Association of the Remodeling Industry is committed to being: Professional: Ethical and honest; committed to high standards Progressive: Informed and knowledgeable; resourceful and flexible Our Goal: Treasure Valley consumers will insist on contracting with our members. We realize this goal through: Recognition: NARI will be acknowledged as the only association representing the best interests of remodelers and their clients. Reputation: NARI members will be recognized by remodeling consumers as leaders of the industry and the professionals of choice. Quality: NARI members will consistently deliver high quality remodeling projects that ensure housing stock is safer, more comfortable and secure. Advocacy: NARI will be the driving force for sustained success in the remodeling market, by promoting successful, properly licensed businesses. Members of NARI are full service contractors, design-build firms, manufacturers, suppliers, distributors, subcontractors, lenders and other related professionals who work in the remodeling field. 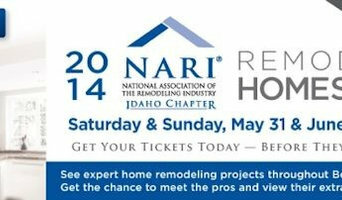 NARI is committed to educating both trade professionals and remodeling-ready homeowners. NARI does this by reaching out to a diverse audience in a variety of formats including education, training, publications and programs. For the last decade, NARI's Certification Program has been providing the remodeling industry with a formalized standard of expertise, knowledge, and ethical conduct among professional remodelers. The NARI Certification Program offers a measure of skill and expertise valued by other remodeling professionals and consumers alike. Certification programs identify remodelers who have undergone a detailed review and testing in areas of business management, ethical conduct, and technical skills. What do Boise, ID schools, professional organisations and associations do? For professionals themselves, these Boise, ID interior design associations and architecture associations are crucial for continuous learning and advancement in their fields. For example, architects can take RIBA CPD (Continuing Professional Development) courses to make sure they are fully aware and trained in new architectural developments and qualifications. Why would I want to contact a Boise, ID design school or organisation? Find a design school or organisation on Houzz. Narrow your search in the Professionals section of the website to Boise, ID architecture associations, interior design courses, schools and organisations.